On a day when almost everything went right for Jimmy Anderson, the one thing that didn’t: Virat Kohli continued to elude him. Anderson returned 5/20 in just 13.2 overs – a spell that was a masterclass in swing bowling – as India were bundled out for 107 in just 35.2 overs. The conditions were near-perfect for Anderson, and none of the visiting batsmen, at any stage, were made to feel comfortable by the 36-year-old. Kohli scored a 57-ball 23 – the second-highest score in the innings – but yet again, much like in Edgbaston when he scored 149 and 51, the Indian captain evaded Anderson. 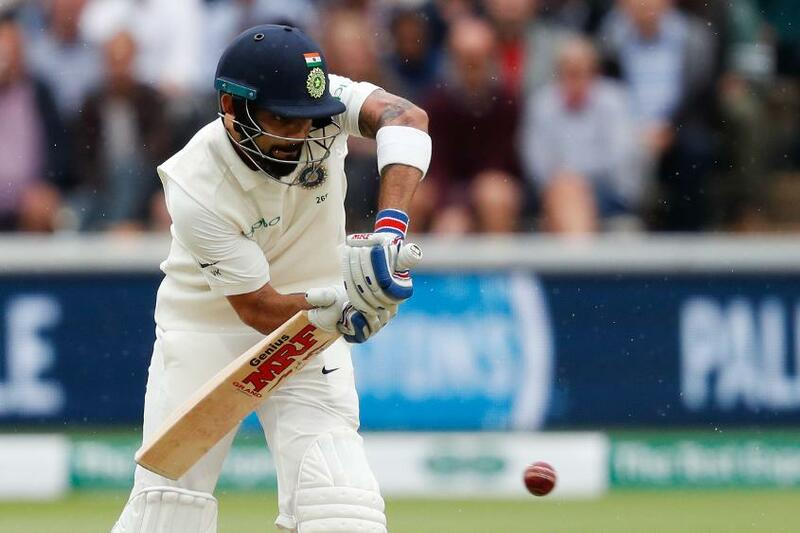 The two had a 30-ball duel at Lord’s on Friday, 10 August, with Kohli scoring 13 runs off the England veteran, even as he was lured into the drive twice. He then fell to Chris Woakes, edging one to the slip cordon, ensuring Anderson would have to wait another innings to get his prized scalp. It’s proving to be a battle for the ages. "I was thinking, ‘why can't he edge them like everyone else?’" said Anderson. “I've really enjoyed the contest between myself and him. He's No.1 in the world for a reason. It’s not just a personal battle. Kohli represents India’s big hope – their skipper, and a batsman capable of turning a situation around single-handedly, like he very nearly did in Edgbaston. "Kohli's important because he's captain, a leader and he's their best player – No.1 in the world,” said Anderson. “But 90% of their top seven have scored runs against us in the past, so we can't look just at Kohli as a big wicket."